Berkery Noyes Advises CARD in its Sale to Blackstone - Berkery, Noyes & Co., LLC. 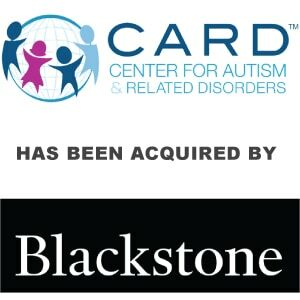 New York, April 13, 2018 – Blackstone (NYSE: BX) announced today that private equity funds managed by Blackstone have agreed to acquire the Center for Autism and Related Disorders, LLC (“CARD”), a leading provider of autism behavioral health services for children and adults affected by autism spectrum disorder. 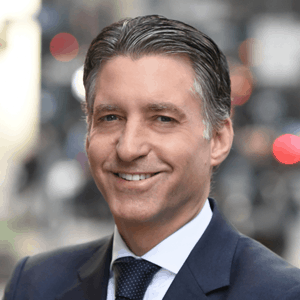 CARD Founder and CEO Dr. Doreen Granpeesheh and CARD management will invest alongside Blackstone in the transaction. CARD offers center, school, and home-based behavioral therapy nationwide to children and adults diagnosed with autism. The company delivers rigorous clinical quality and positive outcomes through a highly credentialed and well-trained workforce of behavior analysts and behavior technicians, high engagement with patients and their families, proprietary software for treatment planning and ongoing monitoring, and an evidence-based, individualized approach to treating each child or adult. Dr. Granpeesheh will continue to lead CARD along with members of her experienced management team. The transaction is expected to close later this year. Blackstone was advised by Kirkland & Ellis LLP and Cain Brothers, a division of KeyBanc Capital Markets. CARD was advised by Nevers, Palazzo, Packard, Wildermuth & Wynner, PC, and Berkery Noyes. CARD treats individuals of all ages who are diagnosed with autism spectrum disorder (ASD) at treatment centers around the globe. CARD was founded in 1990 by leading autism expert, licensed psychologist, and behavior analyst Doreen Granpeesheh, PhD, BCBA-D. CARD treats individuals with ASD using the principles of applied behavior analysis (ABA), which is empirically proven to be the most effective method for treating individuals with ASD and recommended by the American Academy of Pediatrics and the US Surgeon General. For more information, visit www.centerforautism.com or call (855) 345-2273.